243um Kick Net There are 4 products. Std Kick Net 243um w/ 40" Handle. 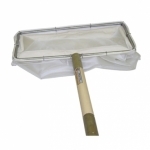 Std Kick Net 243Um Net With 52" Handle & Frame. Std Kick Net 243um w/60" Handle. Slack Invert Sampling Kit. 243Um. 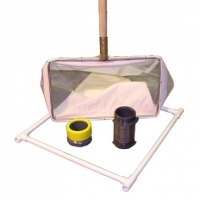 This sturdy kick net, recommended by the USGS and named after Keith Slack, longtime USGS employee, comes in 243µm mesh with a 60" handle and an open cod end for a bucket. 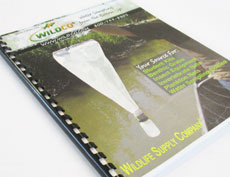 Place it directly on the stream bottom, where it works like a Surber.Includes: 243µm kick net with 60" two-piece handle; 622-6125 sampling square which marks off 0.25 m2 for quantitative results; 47-D80 Dolphin™ bucket and adapter.